For your vehicle: We offer Eight large and bright self-serve car wash bays, a M5 Laser Touchless Automatic car wash, Vac Islands with 3 motor Vacuums, Shampooers and Spot-Removers. We also offer full detailing services by appointment. We have a full range of car-care products in our vending machine along with interior Fragrance dispensers. NEW! 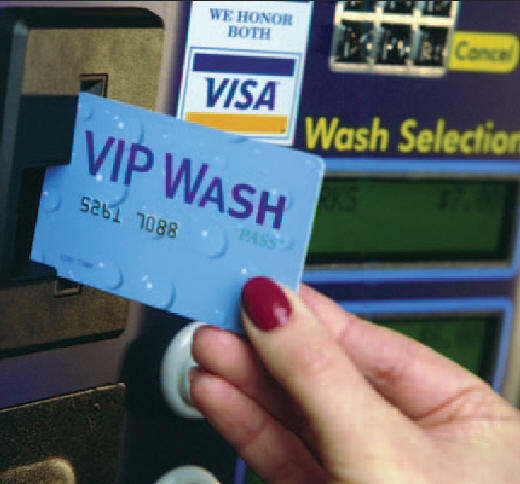 Buy a season pass for you car washing needs! More info here! For your pet: We offer two ultra convenient pet wash stations. We offer everything needed to clean and dry your pet in a bright, clean, heated/air-conditioned and disinfected room. For You: Refill your water containers at our Purified Water refill station. Wally Wash and our associates will strive to offer the finest in car and pet washing products and services in a clean and friendly environment. Get the dirt on home car washing and how using Wally Wash saves our rivers and streams! Click on the icon below for more info.